Because they look like rags, we sometimes forget that Norwex cloths are high-tech cleaning tools and need to be taken care of the way we care for other power tools! Last week at a demo I met a woman whose cloths didn’t work as well after she washed them the first time, and she wasn’t happy with how her mop was picking up pet hair. Turns out she didn’t know that fabric softener clogs the cloths, and that the rubber brush recharges the dry mop pad. One of the main reasons we offer the education of in-person demos is so we can make sure you know how to keep these tools working well for you for years to come! They pick up so much grime for us, we have to know how to help them release that grime so they can work over and over and over. The main instruction for use is to use only water! The reason the cloths work so well is all those microscopic fibers grab everything on the surface and pick it up into the cloth. If you were to use any kind of soap or cleaning product, it would make the cloth slip along the surface instead of being able to grab everything, so it wouldn’t work as well! Plus, if soap gets deep into the fibers and doesn’t get rinsed out properly, it will block the BacLock self-purifying action and your cloths could get stinky. Always follow the correct washing instructions. If you ever end up with cloths that aren’t smelling clean, the best remedy is to soak them overnight in hot water and Norwex laundry detergent. Then wash as normal. If your cloths have gotten fabric softener on them, or you have hard water and minerals are building up in the cloths, you can choose to boil the cloths in a pot of hot water with some vinegar to help dissolve what’s trapped in the fibers. Last but not least, contact me for troubleshooting help!! 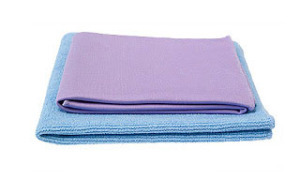 How Do I Use My Norwex Cloths? It was so amazing! 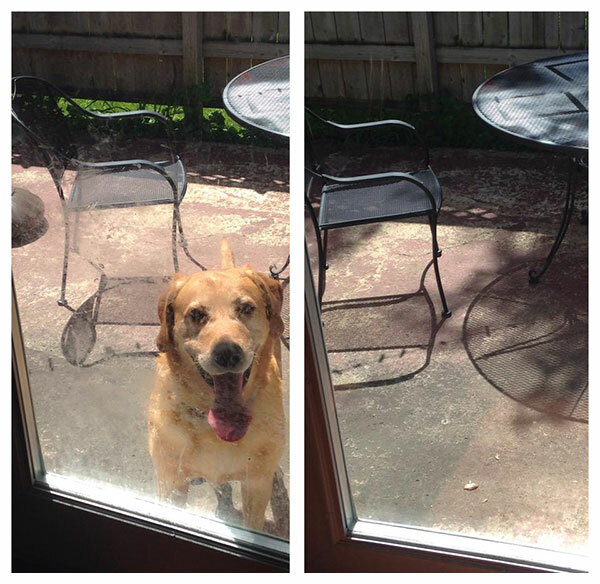 This woman cleaned off ALL this crusty dog slobber so quickly and the sliding glass door looked gorgeous! So of course I bought the Norwex cloths, and now they just arrived and… how do I use them again?? Whatever you do, DON’T leave your amazing Norwex cloths sitting in the bag on your counter because you can’t remember how to use them! 1. Start with the Enviro cloth (check the tag in the corner for which cloth is which). Get it wet, and wring it out. 2. Fold the Enviro cloth in half, then in half again, so it’s a square. Hold it flat in your hand, so all those millions of tiny fibers can grab all the gunk off your surface. 3. Find the dirtiest spot in your kitchen and scrub it clean using just the Enviro cloth and water! Try your stove hood, or on top of the refrigerator, or the wall beside your stove. When one side is dirty, refold the cloth another way so you have a clean square. 4. When you’ve used all the clean surfaces of your cloth, or when you finish the job, take it to the sink and under running water, scrub the cloth against itself. If it’s really greasy and dirty, you can use just a little dab of dish soap to help release the grease. Rinse well. 5. Now take both cloths into a bathroom that needs to be cleaned. Start with the mirror – wipe with the damp Enviro cloth first to get rid of all the toothpaste and hairspray. Then wipe with the Polish/Window cloth. Doesn’t it look gorgeous? 6. Do the same thing to your faucet – damp Enviro first, then wipe with the Polish cloth. Wow! You’re an AMAZING housekeeper!!! 7. Wipe the rest of the countertop and sink with the damp Enviro cloth. Wasn’t that easy? And truly, that surface is probably cleaner than it’s ever been, with no chemical residue left behind! 8. Scrub out the Enviro cloth again under running water, wring it out, and hang it up to dry until you need to use it again. The BacLock silver agent is self-purifying the cloth as it dries! 9. Sit down and be amazed by how easily and effectively you can clean now! A laundry detergent without fillers or fragrance is best. I love our Norwex Ultra Power Plus detergent! SO EASY! Norwex cloths have a two year warranty, so you will save so much money not having to go down that cleaning aisle in the grocery store again!